2 Bedroom House To Rent in Thetford for £1,400 per Calendar Month. 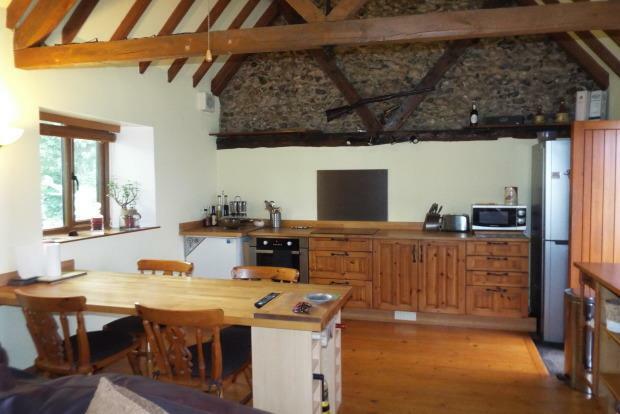 With a gated private entrance, this spacious detached barn conversion is hidden away from the road. Benefitting from private parking for multiple vehicles and a charming spacious kitchen/dining room overlooking the beautiful and modern conservatory with TV projector and surround system. This charming home is immaculately presented and decorated to a high standard and it greets you with warm interiors throughout. Offering 2 double bedrooms, a family bathroom with bath and double showers and storage cupboard. The cosy open space living room offers a warm and welcoming atmosphere, with period features throughout including an open fire wood burner, high ceilings and original doors. It also has the added benefit of a fully fitted annex with open space kitchenette with wood burner, bedroom, walk-in closet, and shower room. Externally there is a good sized landscaped garden with a Koi pond and a double Jacuzzi hot tub. Offered furnished or unfurnished, viewings are strongly advised to avoid missing out. Outdoor Double Jacuzzi Hot Tub.